Over the last weekend, I finally played some Ape Out. That game has some style. Though as I played it I realised something. Sadly, we don’t seem to get a lot of games anymore that give you control over an animal. That’s a shame, I love these games. Ape Out lets you rampage around labs, offices and other places as a powerful, angry gorilla. This is a lot of fun and as I am a boring human dude, it also is a great way to experience something I won’t ever get a chance to experience: Being a powerful and deadly monkey. To me, this is one of the best aspects of video games. They let you jump into a world or life and actually get immersed in it. A movie or book can’t really do that. Yet so many games just plop you into the boots of a human and call it day. Of course Ape Out isn’t the first game to let you play as an animal, but there aren’t that many other titles that let you live as a deadly or fluffy creature. 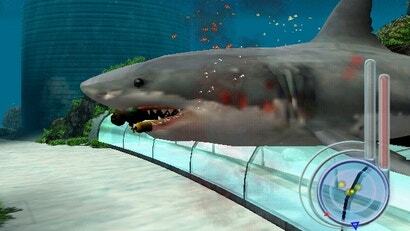 One animal themed game that I remember playing a lot of as a kid was Jaws Unleashed on the PS2. It isn’t a great game, yet there is something exciting about being a large killer shark and being able to just kill everything. On mobile, Hungry Shark continues this idea with a little less gore. 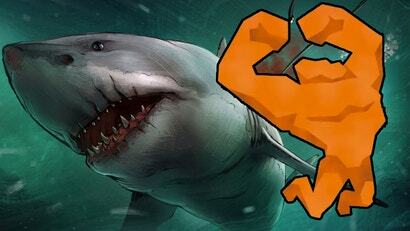 However even as a free-to-play mobile title, being a shark is awesome. What that actually translated into was a partially open world game where you played as a dog. As a dog, you can run around, bark and even poop using a specific combo of buttons. While these weren’t amazing games or classics, they let players experience life as a cute dog or deadly shark, which is honestly more exciting to me than playing as another random dude with swords. Bigger games have included sections where you control an animal for a brief period of time. Grand Theft Auto V has you control Chop during a mission. Assassin’s Creed Origins lets you control your bird friend briefly to survey the world around you. These moments are nice though they feel more like teases. Ubisoft did release a VR only game called Eagle Flight that lets you soar around Paris as a falcon. I’ve yet to play it. However, it certainly sounds like something up my alley. Not many bigger studios are creating games where you can fully control an animal, which is disappointing. Imagine something like Jaws Unleashed, now with 4k visuals and a huge open world. I want to play that game. Universal, if you are reading this, I enjoyed that mobile game you just released, except I want something bigger starring your famous shark. In recent years, smaller teams have filled the void left behind by bigger publishers, creating some games that have let players slip into the mind of an animal. Depth lets you control a shark who attacks other players who are human scuba divers. Animals make the perfect enemy in an asymmetrical game like Depth. Players already understand what a shark can do plus they already have a fear of them hardwired into their brain. Catlateral Damage is a very simple game about being a cat who is tasked with knocking stuff over. As someone who has owned cats my entire life, I can confirm this is mostly all cats do. Getting to be a crazy cat who just flings everything around a house is a blast. 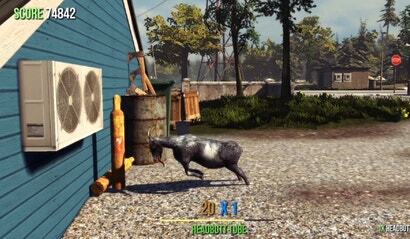 Goat Simulator might be one of the most famous games to let you play as an animal. Only I don’t really count this game, which might be controversial. While you do play as a goat, it actually isn’t trying to emulate being a goat. Would that be a boring game? Sure. So they made the right call, but it doesn’t scratch the same itch as Dog’s Life or Depth or even Ape Out, which is gory and stylish, yet still makes me feel like a powerful gorilla on a rampage. These games that let you play as an animal, but don’t actually let you feel like that animal can still be fun, though they aren’t what I’m looking for. Looking ahead we have the fantastic looking Untitled Goose Game, which seems to be a perfect recreation of how geese are arseholes. There’s also HK Project, working title, which will let you play as a cat in a future world of robots and computers. 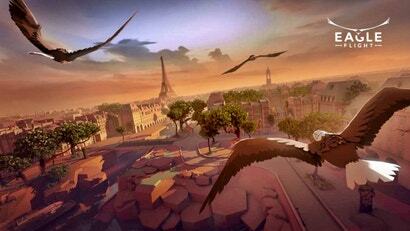 So hopefully the future of video game includes more animal adventures. With VR becoming more popular, it certainly seems like a perfect way to get players into the head of their favourite critter. Tokyo Jungle was another, from the PS3 era. Was free on PS Plus a couple of years back. Not a hooman in sight in that one, with a lot of the game based around Pomeranians of all things. I should go back and finish it sometime, it was a strange yet fun game. Agreed. Would a love a sequel!